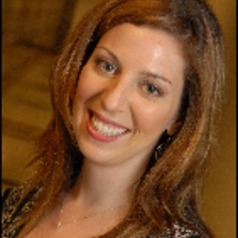 Dr Shoshana Dobrow Riza joined the Department of Management in 2012 as an Assistant Professor of Management. Her research focuses on the meaning of work, the sense of calling, developmental mentoring networks and careers. She utilizes dynamic, relational, and/or career frameworks and methodologies to understand these phenomena. Dr Dobrow Riza has particular expertise in conducting multi-year longitudinal research. Dr Riza earned her PhD in Organizational Behavior, A.M in Social Psychology, and A.B. in Biological Anthropology from Harvard University. Previously, Dr Riza taught at Fordham University's Graduate School of Business Administration and was a visiting scholar at Tel Aviv University's Recanati School of Business.